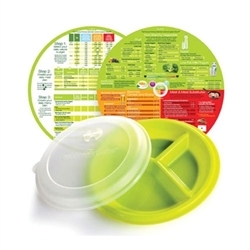 Manage your meal portions correctly with the Portion Control Container To Go! 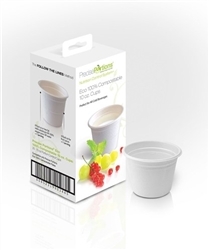 Whether you’re at work or strolling in a park, you can carry this plastic container along. Having 3 distinctly marked portions, it ensures healthy eating habits. 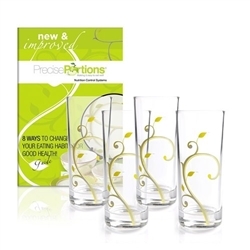 Perfect for people with restricted food intake! 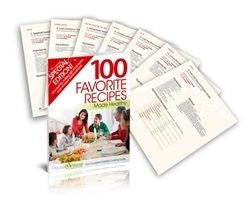 Includes a portion control manual to further guide you through! us spend the majority of our time in one or more of these places. – and now there’s an easy one. foods you love and staying on track to achieving your goals! for effective meal planning and to suggest single serving sizes and calories per serving nutrition tips to put to your advantage. Laminated on both sides so that you can Eat & Learn for a long time. and feel great doing it? Get started today!